“Splendid Chyna” on Black Friday sale for a whole week! Nothing says Black Friday like a ghost story, right? If you missed the opportunity to read my novella “Splendid Chyna” – perfect if you like Asian Horror (i.e., The Ring, for those of you not familiar) and abandoned theme parks – the Kindle version is on sale for 99 cents through Thursday, November 29! 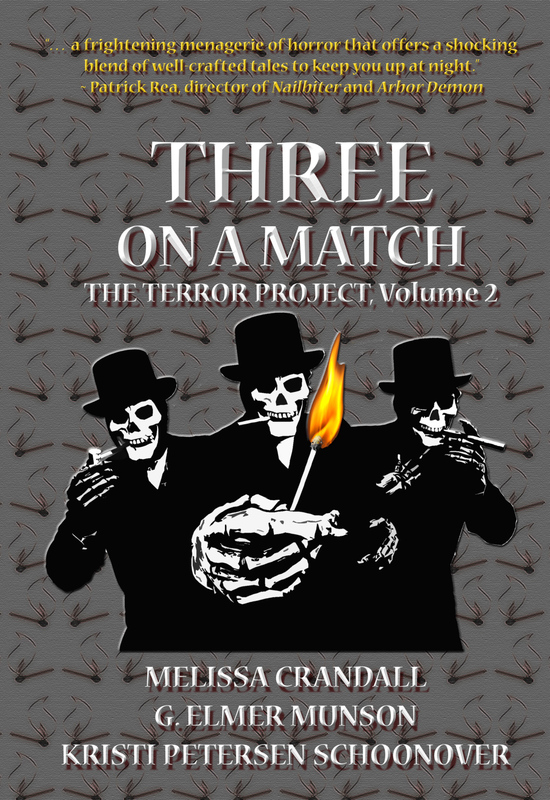 “Splendid Chyna” appears in the collection Three on a Match with two other novellas, “All’s Well that Ends” by G. Elmer Munson, and “Thicker than Water” by Melissa Crandall. These shorts are just the thing to be reading in between season busy-ness. You can get it here, and happy holiday shopping! Posted on November 23, 2018, in Ghost Stories, Horror Stories, News, Short Stories and tagged Asian horror stories, Black Friday Kindle Sales, Books & Boos Press, G. Elmer Munson, Ghost Stories, Kindle sales, Melissa Crandall, novella collections, Three on a Match, where can I find books that don’t take too long to read. Bookmark the permalink. 2 Comments. Thanks for the heads up, and yes, abandoned theme parks are SCARY! You’re welcome! And yes they are. They are my FAVORITE places in which to set stories.